Tour merchandise for Foxing's 2016 tour. Three color screen printed poster on Kraft Chipboard French Paper for Foxing’s Spring Tour. Six color t-shirt design for Foxing. 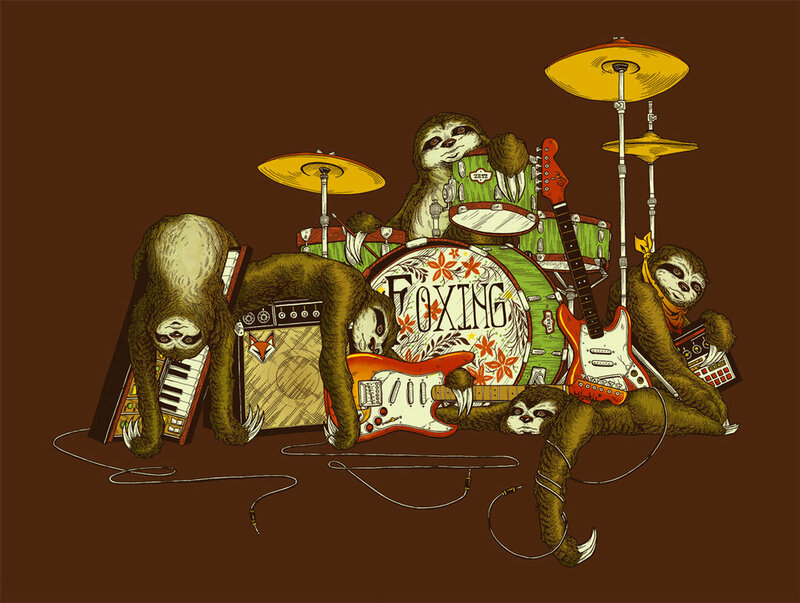 Each of the sloths represents a different member of the band.